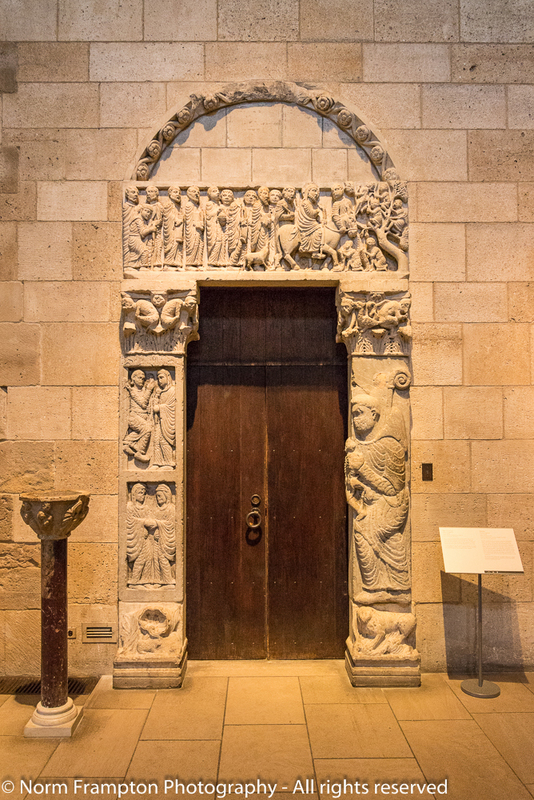 This is a continuation from last week’s post from The Cloisters which is a branch of New York City’s Metropolitan Museum of Art, dedicated specifically to Medieval European art, architecture, gardens, and religious artifacts. 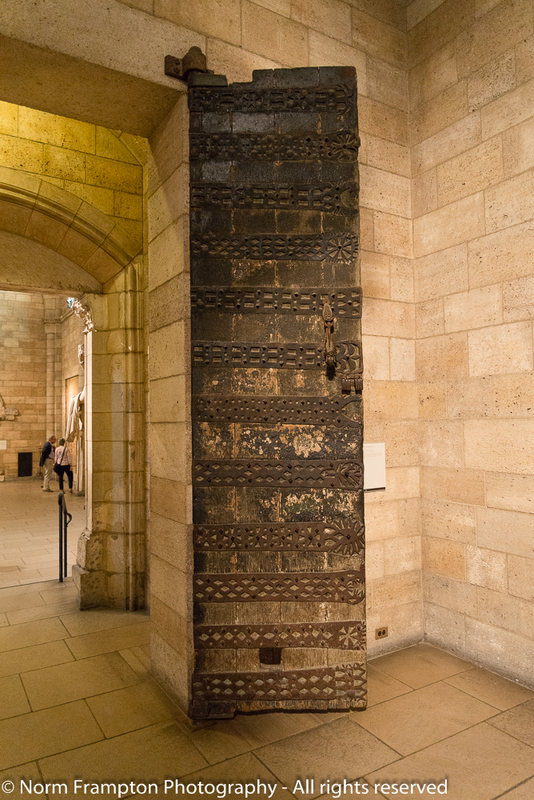 A lot of these are doors and doorways were culled from abandoned abbeys in Italy, France, and Spain. 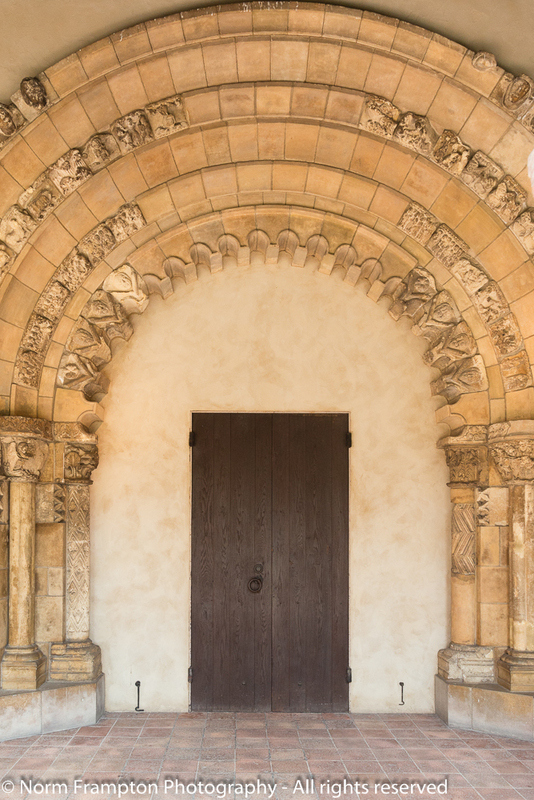 The arches and stonework were carefully taken apart piece by piece, transported to New York and then painstakingly rebuilt onsite at the Cloisters. As I mentioned last week, I was so marveled by what I was looking at I completely forgot to take pictures of the information signs, or even just note some of the key points like date and origins. This is the oldest one that I do remember, it dates back to the mid twelfth century and has the scars to prove it. 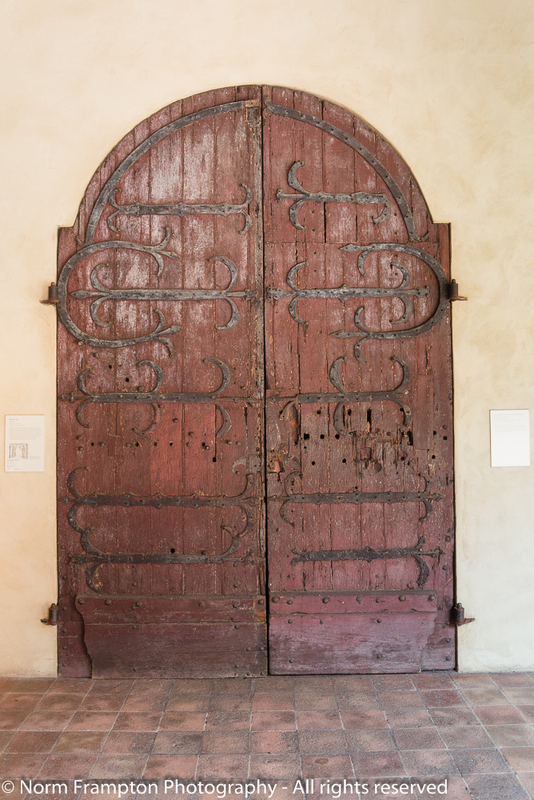 Because of their size and the fact that they were displayed fully opened, I couldn’t manage to fit this set of iron and wood doors fully into the frame, even with my wide-angle lens so I gave up trying; here’s the one that came out best. But all of them do deserve to be in a world class museum because they are true works of art. 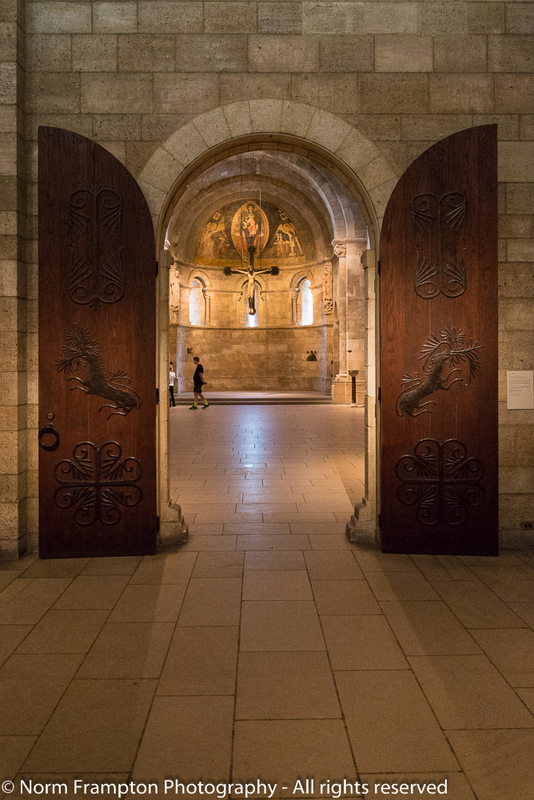 If you appreciate this sort of stuff and you are ever in the New York City area, do yourself a favor and set aside part of a day to visit The Cloisters for yourself. Not only will you see wonderful old doors, but tapestries, pottery, furniture, paintings and religious artifacts of breathtaking beauty. Wonderful.doors Norm. My daughter is hoping to go to New York for a photography trip with her sixth form! I wonder if they will visit the. cloisters? Thanks Robin – it is a very special place. Plenty of houses and offices in Frederick, Md. means lots of doors. some are worth showing off. What an incredible variety of doors. The carvings are phenomenal. Beautiful pictures of the doors. That is a really beautiful museum. Love your pictures. I won’t take part this week. Life happened and house is bought at last :-). It might need a while until I can come back to any blog events. Thanks Bee. We’ll be here whenever you’re ready to jump back in. Great stuff; in movies they say the sequels do not do justice to the first episode but you just showed us that in door posts, sequels are better that the first post. I hope the European Door Historians didn’t see these abandoned doors or they might file a claim and ask for them back. Good job, Norm! Thanks so much – glad you enjoyed the sequel. Wow! These just keep getting better! This is indeed a fantastic place, and full of amazing doors that you are so kind to share with us. Gladd you like them. It certainly is a special place to visit. This is a particularly nice selection of picturesque portals! And I finally managed to make a doors post of my own. 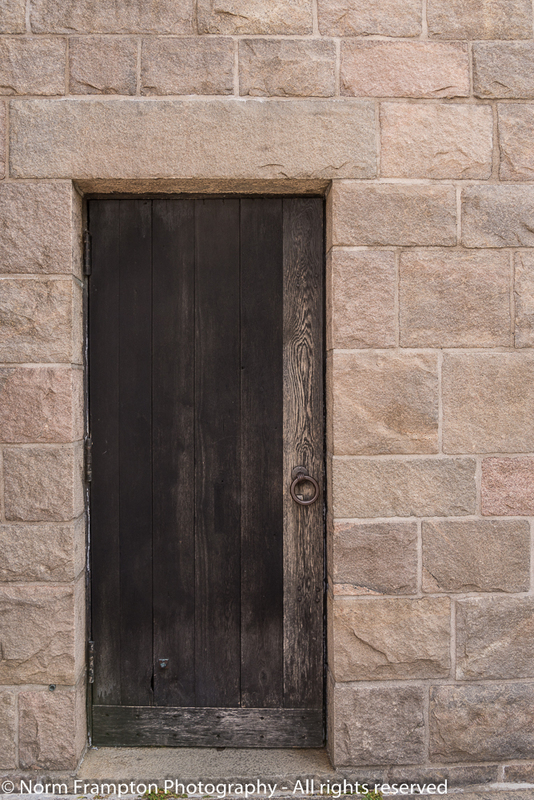 I seem to have a soft spot for doors to nowhere/the ghosts of doors…. Thanks – this place was amazing. Oh, I love these doors. Great collection. Wow – where do I start? Just when I think I’ve picked a favourite among favourites, you drop another fabulous door on us. Even after going back through them several times, I still can’t. From your photos, I’m getting a sense of what this visit to the Cloisters was really like. The stories each one of them could tell … if they could talk. Thanks Joanne. It was a wonderful visit. If you ever get the chance to go, I’m sure you’d love it too. Whenever we take a trip up North I definitely like to visit there. Reminds me so much of Europe. The 5th and 6th doors are on the top of my list, but so are the last three frames. Thanks for posting these, Norm! 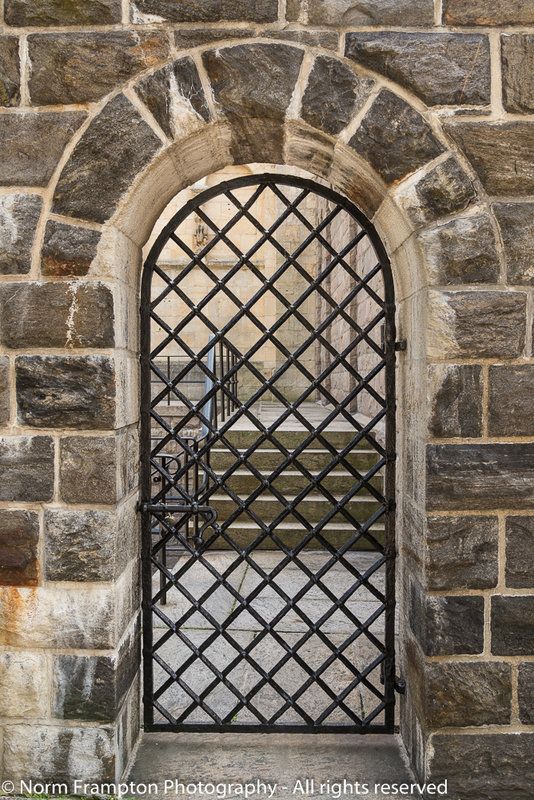 I’ve really been enjoying your pictures of The Cloisters. It’s almost as good as being there. My last visit was more than 15 years ago–time for a return. At least I know it will look just about the same as last time. How do you find so many cool doors. You always amaze me. Wow! What a great bunch of doors! I agree, they do belong in the museum. What a classy and powerful presence they give off. Thanks for sharing. Thanks Michelle – it was an amazing place to explore. I see that it was! Lots of doors here, interesting collection. Oh my word! What an amazing place. They would have to throw me out at closing time if I were there. Beautifully photographed, Norm. Thanks Jean. They didn’t have to throw us out but I know what you mean; we lingered quite a while ourselves. Wow, Norm these doors are beautiful! I especially like grilled door and the really, really tall one! 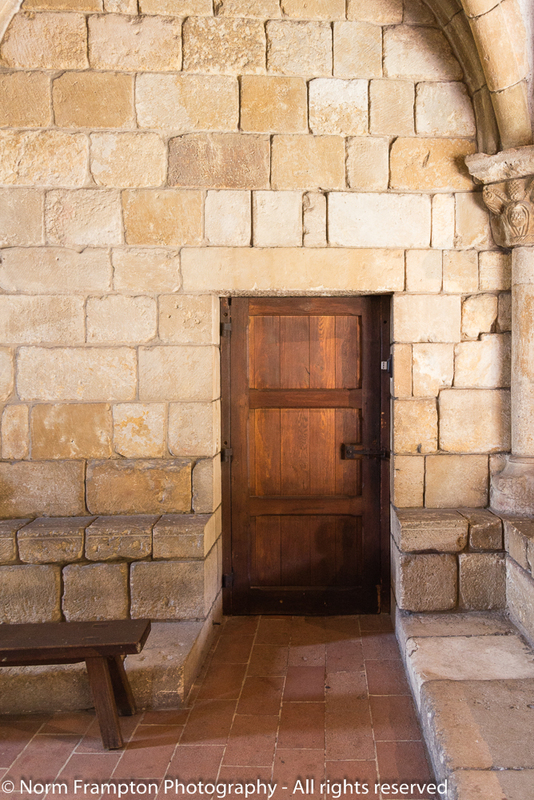 The doors, stone work, and carvings are all wonderful! Thank you so much for this return visit to The Cloisters. If they would let me live there, I would. Wonder if I could hide out somewhere and haunt the place while I’m still alive…. Norm, I wish these were in Philadelphia so that I could easily see them while visiting our daughter!! This is the first post I saw this morning and what a magnificent way to begin the day. 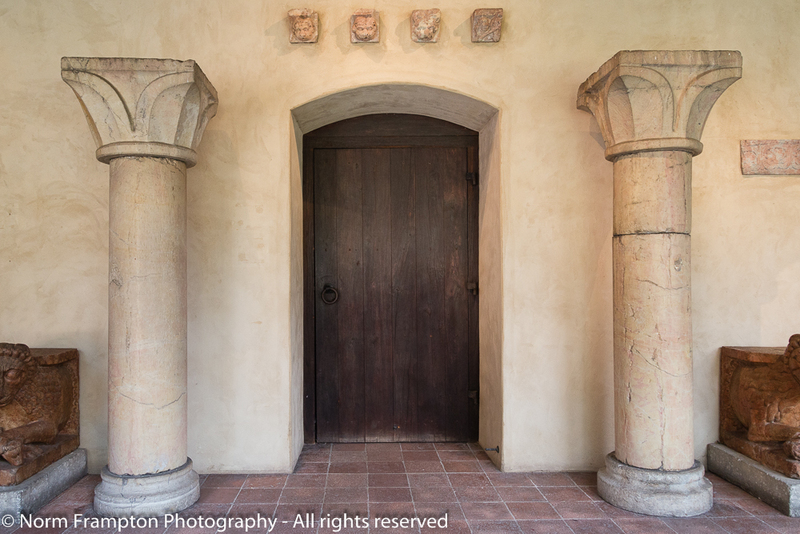 These are beautiful doors but the setting looks just a bit too crisp and clean for such ancient, weathered entrances! Thanks Judith. Some of them are a little too clean, but overall I thought they did a good job of incorporating them into the surroundings and building the surroundings to suit the pieces. Very much so. 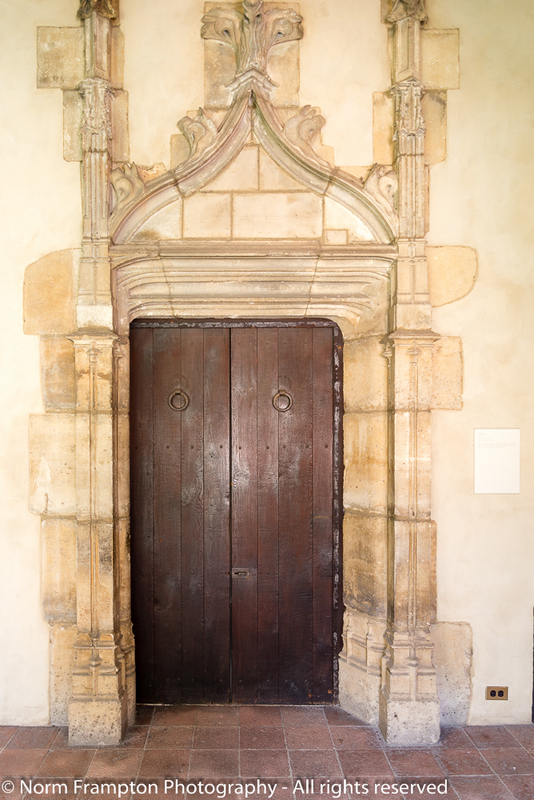 I’m just used to seeing in-situ medieval doors looking a little tattier! These doors are just amazing, Norm. I can understand your getting caught in the moment. I really like the iron weave door, but they are all so beautiful. 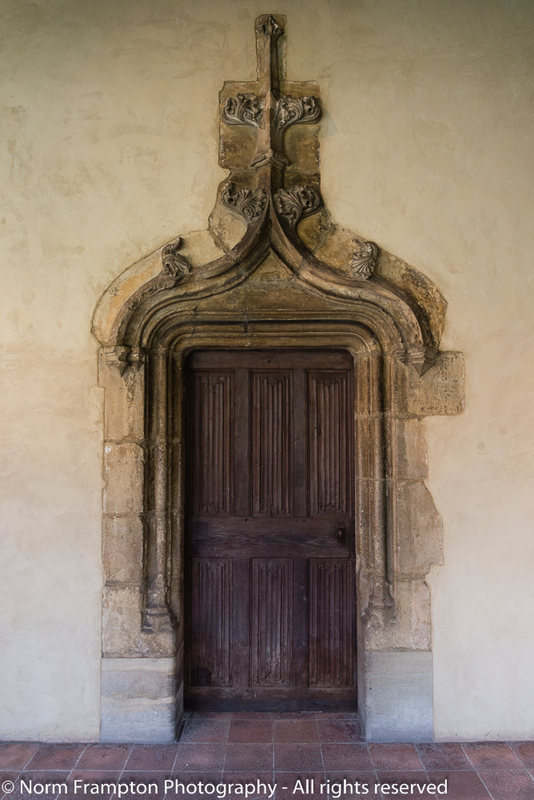 I will repeat these doors, on my page, at some point, maybe in 2017. the photos that you’ve shared have moved it up on my list of places to see. I’m still trying to wrap my head around the work involved in moving these across the world. Thanks Dan – I know you’ll enjoy your visit there. The story of how they acquired, and moved many of these pieces over is fascinating bit of history of its own. I see that you’ve found a way to come here without coming here. 🙂 These are magnificent. That really is the motherlode…. I have no doubt that you will love this place Judy.